Replace failed hardware units quickly and conveniently with HP Services' reliable next-day exchange service. 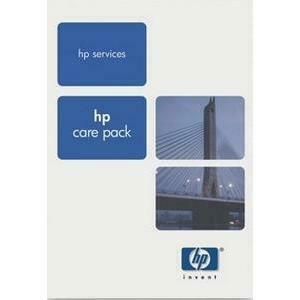 This easy-to-use HP Care Pack extended warranty service gives you a cost-efficient alternative to onsite repair for HP products. If the problem cannot be resolved remotely, we replace your failed product with a new or equivalent-to-new product free of major cosmetic defects. Next-day delivery of replacement products is available for calls received before 2:00 pm local time. Your permanent replacement unit will be delivered by 10:30 am the following business day in most areas within the continental US. Service within 1 to 2 days is available in selected areas of Alaska and Hawaii.